A singer-songwriter with a Southern twist, John Paul White delivers his new album The Hurting Kind via Single Lock Records. Always difficult to categorize and whilst non-conforming, White has acquired a bit of a country edge on this latest album. Having lived in various areas throughout the south, the music comes off honest and effortless. White tells American Songwriter, “Everything I’ve ever done that moved me and moved other people, I just left all that behind, sat down and said, “What is the best thing that you can possibly create today?”’ One half of the former Civil Wars, John Paul White has earned Grammy Awards and continues to develop and experiment with his sound with each record. Tune into hear The Hurting Kind, out now. Elvis Crespo and Flash Music revive a classic for it’s 20th anniversary with the epic reissue of Suavemente. As mentioned in El Universal, Crespo’s debut album released in 1998 and sold over 50,000 copies in the first week which lead to a Grammy nomination. Even though it’s been a while, this Latin sensation is also excited for the future of merengue. Crespo tells El Espectador, “Latin music is a universal, global music and, in the last twenty years, has been able to adapt to new trends and new sounds to stay current.” We can’t wait to see what Crespo does next. In the meantime, travel back to 1998 with Suavemente 20 Anniversary. Picture this: indie sensations with jazz musicianship and the big sound of a futuristic film score. That’s what you get with the new album from Bruce Hornsby titled, Absolute Zero. 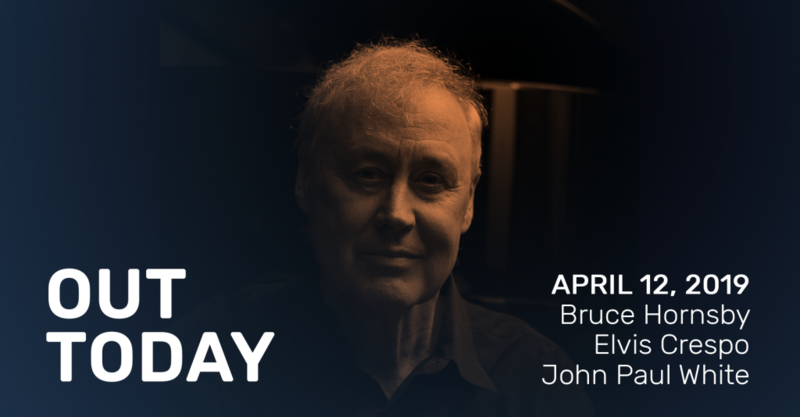 From Zappo Productions/Thirty Tigers, Bruce Hornsby has created 238 pieces of music for Spike Lee films and played over 100 shows with the Grateful Dead in the early 90’s. A man of many talents, Bruce experiments with a wide variety of genres and artists on Absolute Zero. From chamber group yMusic to Justin Vernon of Bon Iver, Hornsby composes an album that is completely unique in both it’s structure and beauty telling Billboard, “The origins of this music is coming from Spike Lee film cues that I’ve written over the last 11 years that sounded like they needed to be songs. And so, there’s a cinematic quality in a lot of this music.” Set the scene for your week with Absolute Zero, out now. Keep listening and trying new things where ever you’re musical tastes lie. Have a great week.